India Kawasaki Motors is gearing up to launch its first off-roader motorcycle in the country – the KLX 110. With this motorcycle, the Japanese manufacturer is going to enter the niche segment of off-roading motorcycles. 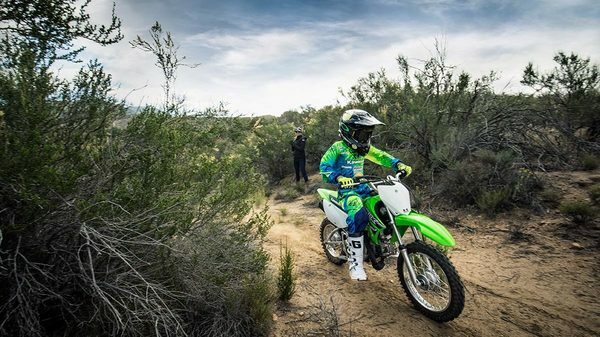 While the segment is very small right now, Kawasaki wants to offer a good product to young kids who are interested in dirt riding and want to make a career out of it. With a small 112cc engine, the KLX 110 serves the purpose of a good training machine. Its user-friendly torque is more than enough for its off-road nature. This engine is mated to a four-speed transmission with automatic clutch for stall-free shifting. 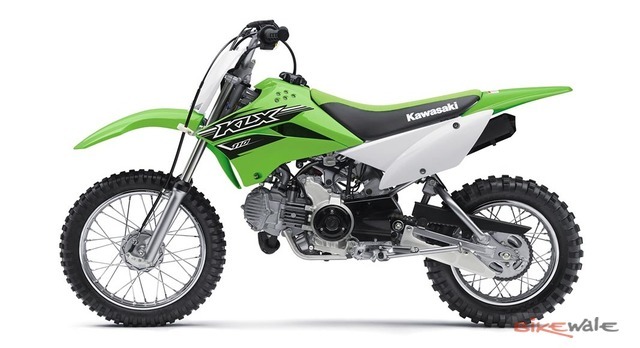 Kawasaki has given a seat height of 26.8-inch making it easy access for the young kids. The KLX 110 gets a beefy 30mm telescopic fork at the front that offers 4.3 inches of travel and a monoshock at the rear. Interestingly, Kawasaki has already imported a couple of KLX 110 motorcycles in India from Thailand. Just like we expected, the Japanese manufacturer will sell these bikes as a completely-built-up (CBU) unit. These bikes are not road legal and will have to be ridden inside a closed circuit. We are expecting Kawasaki to price the KLX 110 between Rs 1 lakh and Rs 1.5 lakh (ex-showroom Pune). This needs to be well marketed. India being a conservative market they'll have to promote civilised true motorcycling.